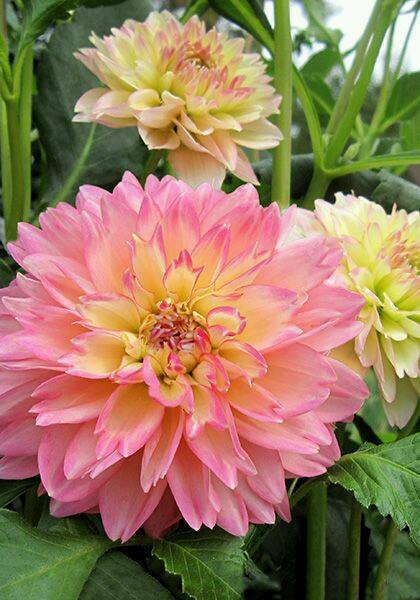 Plants related to dahlia include the sunflower, daisy, chrysanthemum and zinnia. There are 42 species of Dahlia, with hybrids commonly grown as garden plants. Tesselars (renowned bulb producers/sellers from Victoria) recommend Dahlias as brilliant garden plants. They are long flowering, with lush foliage, come in a huge array of colours shapes and sizes, and are easy to care for. Dahlia tubers don't really need to be lifted, if the soil is well drained and you don't live in areas where the soil will freeze. But they should be dug and divided every couple of years to keep them flowering at their best. Dahlias were discovered in Mexico in the 1700's. They were named after the Swedish botanist, Anders Dahl. Bring along your Dahlias for the Competition table on Saturday. There is a further post on this site which has some good tips on how to grow Dahlia, details of the different types and also some cracking images. That article can be seen here. ABC Garden Australia has a wonderful segment on growing Dahlias.